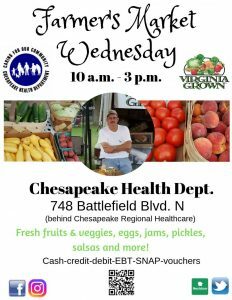 Chesapeake Farmers Market, 748 Battlefield Blvd. They're back for another season! The BEST local, fresh produce around, plus their famous jams, jellies, salsas and more. All forms of payment accepted, including SNAP, WIC and vouchers. 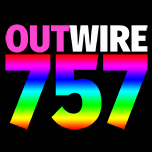 We're located at 748 Battlefield Blvd. right behind Chesapeake Regional Medical Center. Follow the signs!